Customer understands that Seller is not the manufacturer of the Products purchased by Customer hereunder and the only warranties offered are those of the manufacturer, not Seller or its Affiliates. In purchasing the Products, Customer is relying on the manufacturer’s specifications only and is not relying on any statements, specifications, photographs or other illustrations representing the Products that may be provided by Seller or its Affiliates. SELLER AND ITS AFFILIATES HEREBY EXPRESSLY DISCLAIM ALL WARRANTIES EITHER EXPRESS OR IMPLIED, RELATED TO PRODUCTS, INCLUDING, BUT NOT LIMITED TO, ANY WARRANTY OF TITLE, ACCURACY, MERCHANTABILITY OR FITNESS FOR A PARTICULAR PURPOSE, WARRANTY OF NONINFRINGEMENT, OR ANY WARRANTY RELATING TO THIRD PARTY SERVICES. THE DISCLAIMER CONTAINED IN THIS PARAGRAPH DOES NOT AFFECT THE TERMS OF ANY MANUFACTURER'S WARRANTY. Customer expressly waives any claim that it may have against Seller or its Affiliates based on any product liability or infringement or alleged infringement of any patent, copyright, trade secret or other intellectual property rights (each a "Claim") with respect to any Product and also waives any right to indemnification from Seller or its Affiliates against any such Claim made against Customer by a third party. Customer acknowledges that no employee of Seller or its Affiliates is authorized to make any representation or warranty on behalf of Seller or any of its Affiliates that is not in this Agreement. 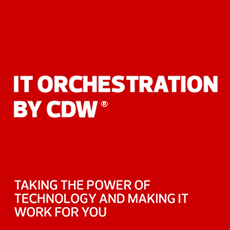 CDW allows Customer returns based on the policies of the original product manufacturer. Software is not returnable if the packaging has been opened. If software was distributed electronically, it is not returnable if the licenses were downloaded. For additional information see CDW's full Product Return Policy at the following link: Return Policy. Customers should contact CDW Customer Relations at 866.SVC.4CDW or e-mail at Customer Relations to initiate a return or for additional information. Customers must notify CDW Customer Relations of any damaged Products within fifteen (15) days of receipt. Any claim, dispute, or controversy (whether in contract, tort or otherwise, whether preexisting, present or future, and including, but not limited to, statutory, common law, intentional tort and equitable claims) arising from or relating to the Products, the Services, the interpretation or application of these Terms and Conditions or any Statement of Work or the breach, termination or validity thereof, the relationships which result from these Terms and Conditions or any Statement of Work (including, to the full extent permitted by applicable law, relationships with third parties who are not signatories hereto), or Seller's or any of its Affiliates' advertising or marketing (collectively, a "Claim") WILL BE RESOLVED, UPON THE ELECTION OF ANY OF SELLER, CUSTOMER OR THE THIRD PARTIES INVOLVED, EXCLUSIVELY AND FINALLY BY BINDING ARBITRATION. If arbitration is chosen, it will be conducted pursuant to the Rules of the American Arbitration Association. If arbitration is chosen by any party with respect to a Claim, neither Seller nor Customer will have the right to litigate that Claim in court or to have a jury trial on that Claim or to engage in pre-arbitration discovery, except as provided for in the applicable arbitration rules or by agreement of the parties involved. Further, Customer will not have the right to participate as a representative or member of any class of claimants pertaining to any Claim. Notwithstanding any choice of law provision included in these Terms and Conditions, this arbitration agreement is subject to the Federal Arbitration Act (9 U.S.C. §§ 1-16). The arbitration will take place exclusively in Chicago, Illinois. Any court having jurisdiction may enter judgment on the award rendered by the arbitrator(s). Each party involved will bear its own cost of any legal representation, discovery or research required to complete arbitration. The existence or results of any arbitration will be treated as confidential. Notwithstanding anything to the contrary contained herein, all matters pertaining to the collection of amounts due to Seller arising out of the Products or Services will be exclusively litigated in court rather than through arbitration.